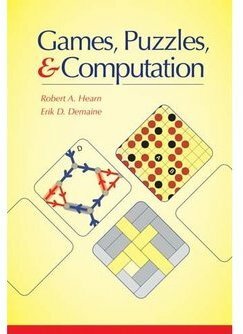 Robert A. Hearn and Erik D. Demaine, “Games, Puzzles, and Computation”, A K Peters, July 2009. See the publisher's webpage for this book. The book is 250 pages. Available for purchase from the publisher or Amazon.